There are few industries out there with as much potential to develop loyal, die-hard customers as beauty and cosmetics. Beauty products are a staple in bathroom cabinets around the world; whether a person is going for an “I woke up like this” look or the avant garde “makeup is art you wear on your face” feel, just about every woman (not to mention tons of men!) use beauty products on the daily. Which means if you own a beauty or cosmetics line, the potential for some serious business is there. But it also means if you want to grab that business and take it for yourself, you’re going to need to find a way to break through the clutter, jump off the shelf at Sephora, and tell your ideal customer “THIS is the lipstick for you!” And the best way to do that is your packaging. Your packaging is the first thing the beauty die-hards you want to turn into customers are going to see. If your packaging grabs their attention and speaks to what they’re looking for, they’re likely to take your product home and give it a try. If not? It’s likely to gather dust on the shelf. But how, exactly, do you design the kind of packaging that makes your ideal customer scream “I need that blush yesterday?” Never fear, 99designs is here with all the information you need to design packaging that stands out on the shelf and gets your product into your customer’s bag (and, eventually, on their face). Logo by thisisremedy for Floral Chemistry. It’s important to know who you’re designing for. Who’s your ideal customer? Are they tween girls just as obsessed with sparkles as they are with boy bands? Are they women of color who want makeup that actually (finally) matches their skin tone? Are they men who are masculine… but also want baby soft skin? And once you know who they are, what are they looking for in a cosmetics brand? What’s going to grab their attention? 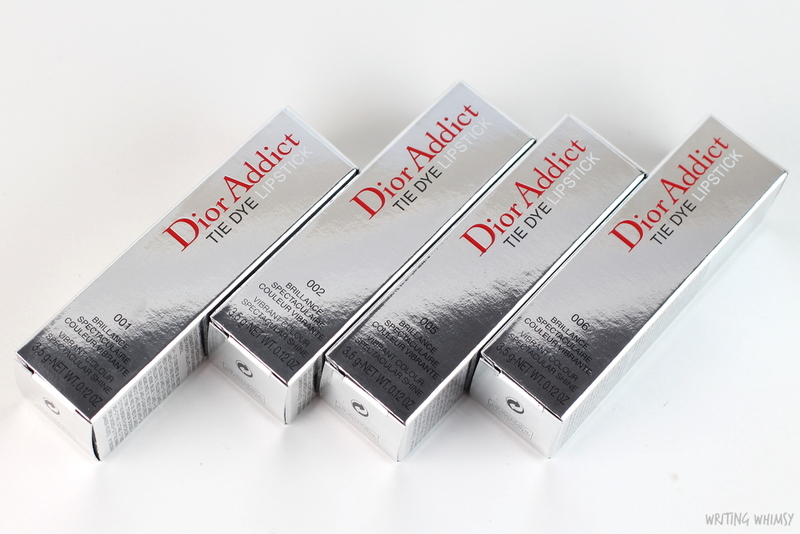 Dior’s luxurious packaging via Writing Whimsy. 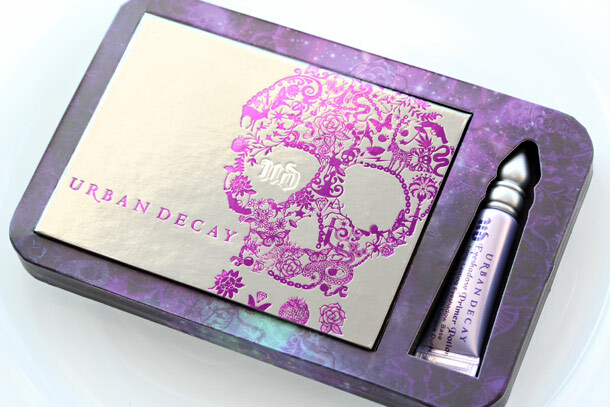 Urban decay’s edgy packaging via Makeup and Beauty Blog. Just as important as your customer’s identity is your identity. What’s your branding? Are you dark and edgy (like Urban Decay)? Simple and classic (like Bobbi Brown)? Luxurious (like Dior)? Accessible (like Wet n Wild)? Who you are as a brand—and the personality you want to portray to your customers—is going to determine what design elements you use in your packaging. You’ll also want to consider how you’re going to sell your products. Are you selling online or in store? In small boutiques or in large retailers? Your design strategy might change depending on where you’re shelling your goods. A great thing to do before you start designing is to create a mood board for your brand. Pull together images, colors, advertisements and whatever else you feel embodies your brand personality; these will act as inspiration as you go through the design process. Alright, once you’ve got all of your pre-design tasks checked off, it’s time to start designing your beauty packaging and cosmetics labels. The first thing you’ll need to do when designing your packaging is set your elements of design. The first thing you’ll want to consider is the mood and personality you want to bring to your packaging. Are you going for a minimalist vibe in your design? Or do you want to go more over-the-top and stylized? Knowing what style you want to move towards will help lead the rest of your design and ensure you make packaging decisions that are in line with your overall design goals. Comforting, vintage label design by Mj.vass. Modern minimalist label design by MMX for Detox. Locking in your style will also help you determine any additional design elements you need to consider. Are you going for a pop art feel? Then you might need some illustrations done to lead the design process. Are you incorporating natural elements for your natural cosmetics brand? Then maybe you’ll want to pull in some nature photography to include on your packaging. The point is, when you know what style you’re going for, you know what design elements you’ll need to get that style to come across in your packaging. When choosing colors, you want to choose colors that a) match your brand personality, b) grab customer’s attention and c) stand out from the competition. This last point is especially important in the uber-competitive world of beauty and cosmetics. This hand cream pairs playful brights with luxurious, classical design elements to create an unusual but eye-catching brand. Design by HollyM. Yellow is not a color usually associated with peppermint, but it works because it sets a cheery mood and differentiates from other essential oil brands. Packaging by Imee008 for Cielune. Neutral, luxurious pink packaging design by bcra for Makeup Geek. Think about choosing your brand’s color palette like you would assembling this season’s must-have eyeshadow palette; you want to stay true to your brand while differentiating yourself from the competition. So, for example, pink is a wildly popular color in the beauty and cosmetics world. It’s fun, it’s feminine, and it just so happens to be a color that’s widely used in all the glorious cosmetics we put on our faces. But if you go with pink as your packaging color, it might be hard to grab your customer’s attention since the shelves of every cosmetic store are already a sea of pink. The most recognizable beauty and cosmetics brands use color as a way to build their brand. When people think purple, they think of Urban Decay. Bold black and white belongs to Make Up Forever. And the reigning queen of pink? Too Faced Cosmetics. If you want your brand to be just as successful, you’ll need to do the same thing and find a brand color palette that not only jumps of the shelves, but becomes instantly synonymous with your brand. Like with colors, you want to choose something that’s unique, on brand, and instantly recognizable to your customers while they’re scanning the shelves. Product packaging design by gianni88 for Xlash. Urban Decay’s All-Nighter Foundation screams edgy – and has the font to match. Via Urban Decay. Have a brand that’s a little on the edgy side? Go for a bold, display font like Urban Decay. Product packaging design by Daria V. for Naturopathy. Too Faced Cosmetics takes feminine to a whole new level with their flirty script font. Via Too Faced Cosmetics. More fun, flirty, and feminine? Go with a whimsical or script font, a la Too Faced. Product label design by Flora B. for Rhea Skin Therapy. Nothing says sophisticated like Chanel… and their modern sans serif font. Via Chanel. How about clean and sophisticated? Try a sans serif font, which will give an upscale modern feel, like Chanel. Product label design by Martis Lupus. Is there any cosmetic more classic than Clinique? Via Clinique. Going for the classic feel? Stick with elegant serif fonts, like Clinique. One more thing you’ll want to think of when choosing fonts? How it’s going to look on your packaging. You want your fonts to be clear and easy to read—even when they’re on a tiny compact box. Next up, you want to collect all of the information you need to include on your packaging (including the information you need to be FDA-compliant). Now, it’s time to actually choose the physical packaging. All three layers of packaging for Erthe Pure Skincare designed by MonDesigns. Just like you start with primer, follow with foundation and end with finishing powder, when it comes to packaging, there’s three different layers you need to think about: outer packaging, inner packaging, and product packaging. Outer packaging is the first thing your customers will have to dig through to get to your product. This can be the box you use to ship customer orders from your warehouse or the bag you package your cosmetics in at your retail location. Inner packaging is what houses your product, like the box your customers open to get to their lipstick. And the product packaging is the packaging itself: the container that holds your product inside, be it a lipstick tube or a foundation bottle. With so many cosmetics packaging types to choose from, it can be hard to know where to start. Product label design by ve_sta for Pure Cosmetics. When it comes to beauty and cosmetics packaging, the sky’s the limit. The first thing you need to think about when choosing your cosmetics packaging is the “what.” What is the purpose of your packaging? What kind of product are you creating? Obviously, the product packaging that works for a lip gloss isn’t going to be the right pick for a body butter, so you want to choose the product packaging that makes the most sense for each product. Now, obviously, there are certain packaging standards for different products. Most lipsticks are going to be housed in a lipstick tube. But that shouldn’ts top you from thinking outside of the box! Take lip gloss, for example. It used to be the standard to put them in a tube with a wand. And while that certainly still is the most common packaging choice, plenty of brands deviated from the “norm” and went with other options, like squeeze tubes, jars, and twist tops. So don’t feel like you need to stick within the confines of “standard” packaging! Once you know what kind of packaging you want, you need to figure out how and where you’re going to get it. There are tons of cosmetics packaging companies out there where you can buy packaging at wholesale prices. You can also get custom bottles, boxes or tubs designed, which can make your product stand out on shelves, but will definitely cost you more than a pretty penny. This design focuses on the Sahaja Life’s key differentiator: it’s 100% natural. The eye is drawn to this copy and all design elements support this message (from colors to iconography). Design by Syakuro for Sahaja Life. Once you know what type of product packaging you want to move forward with, it’s time to start thinking about design. And the best place to start? Choosing a focal point. When your customer looks at your product, you have a split second to get your message across before they move on to something else on the shelf. What’s the one thing you want your customer to know about your product? Whatever it is, that’s what needs to come through on your packaging design. Do you want to build brand recognition and let your customer know the lipstick or face cream they’re picking up is all you? Then you’ll want to put your logo front and center. Is there a certain ingredient in your beauty product you know will wow your customers and get them to make a purchase? If so, that needs to be the focus of your design. By focusing on one core element in your packaging design, you ensure that your key message gets through to your customer. Next up is choose the materials and speciality printing options you’ll use in/on your packaging. There are so many options out there to jazz up your packaging. But keep in mind: the more complicated your packaging, the higher the budget. Some upgrades might be necessary, depending on your product (for example, if your product is meant to be stored in the shower you better make sure your labels are coated and water resistant). Foil printing can draw the eye to your packaging, but will be more expensive. Blush packaging by HollyM. Shampoo is stored in the shower so you’d better make sure your labels can stand up to the heat (and steam!). Design by ve_sta. Others are design choices to help you create a specific look and feel. Incorporating things like foil-stamping, embossing, metal, or ink that gives a 3D effect will definitely make your packaging feel more high-end, luxurious and fun, but it will also add to your cost-per-package. If you’re not sure what options or out there—or what options your budget allows—talk to your designer about the material and printing options that are the best fit for your brand and budget. Product packaging design by Martis Lupus. Your first option, of course, is to do things yourself. And while you might be tempted to take on the design yourself in an effort to keep your budget low, unless you have design experience, we don’t recommend it. Your cosmetics packaging design is so important to the success of your business; it’s not the place to cut corners. Product packaging design by CyanTriangle_com. Your other option is to hire a designer to manage the design process for you. There are two good ways to do this: you can hire a freelancer or you can launch a design contest. If you want to work directly with a freelancer, you’ll want to look for someone with experience in product packaging design (even better if they’ve specifically worked in the cosmetics industry). If you want to write a single brief and have designers from all over the world send you unique ideas, you can run a packaging design contest on 99designs. Example of packaging dielines, via Design Packaging Inc.
Once you’ve got your designer on board, it’s time to start designing! Woohoo! After you’ve reviewed your brand style design with your designer and let them know exactly what you’re looking for, you’ll want to ask them to develop a design mockup. This will give you a concrete piece of packaging to look at before you finalize your design. Does this grab my ideal customer’s attention? Is is clear what this product is from the packaging? Does the packaging seem accessible/easy to use? Would this stand out against competitor packaging? Will this design be as relevant 5 years from now as it is today? Once you have those files, you can send them to the printer, print up your packaging designs, and get your products out into the world! There’s a ton of opportunity in the beauty and cosmetics industry. And with the right product, the right packaging, and the right design, that opportunity is yours for the taking! Want beautiful product packaging for your cosmetics? Learn how a design contest will give you ideas from designers all over the world.